Jennifer Garner stars in the action-thriller "Peppermint." 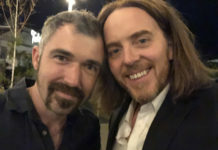 HOLLYWOOD—When you first hear about the movie “Peppermint” you get the impression that it’s a film about love, light-heartedness and all things warm and fuzzy. Well, you might be thinking about the wrong peppermint people because that is NOT this movie. This is an action-packed, thrilling, revenge seeking adventure with “Alias” alum Jennifer Garner in the starring role. Garner is a bonafide action star; she always has been, so to see her get back to her roots after being MIA for a few years is a ton of fun. Garner stars in the flick as Riley North, a mother and wife, where all in her world is not great. The North clan is doing everything in their power to stay afloat. Even though things are bad, Riley does her best to keep her family unit strong. A chance conversation Riley’s husband, Chris (Jeff Hephner) has with a pal sets the stage of events, NO SPOILER here, where Riley’s husband and daughter is killed during a drive-by shooting. Riley is also injured in the shooting, but manages to survive. Here is where things take a turn for predictability to a degree. Why? This movie reminds me greatly of the flick “Law Abiding Citizen” starring Jamie Foxx and Gerard Butler. The premise was almost identical, but with a few tweaks here and there. Why? Well, Gerard Butler’s character was seeking revenge for his family that was murdered by burglars and then seeks vengeance against those in the legal system that helped the culprits get away with murder. I loved “Law Abiding Citizen” because it put a spotlight on so many loopholes in the legal system that are actually present in real life. “Peppermint” is a film that is identifiable for the audience because it’s about a woman seeking justice the right way, and when she doesn’t get that justice via the legal system she decides to take matters in her own hands. I think that draws the spectator into the movie because it makes you wonder if you would take the same actions to get justice for your family or loved ones. “Peppermint” in a weird way invigorates the audience to root for a woman taking down a corrupt legal system many of us would like to believe is fair, but we know in our hearts that is not the case. The movie takes a predictable path with Riley eliminating those who wronged her in her quest for justice for her family. It is exciting action; Garner brings a level of sincerity and ferocity to a character that the audience loves; she is a bad*** and takes no prisoners in getting justice, even though some would call that revenge. Are they mutually exclusive? No, but the lines are very blurry in the world. There are other characters in the mix, a few surprises here and there, but none of the characters actually pop out compared to Riley. Everyone else is just filler to be honest. 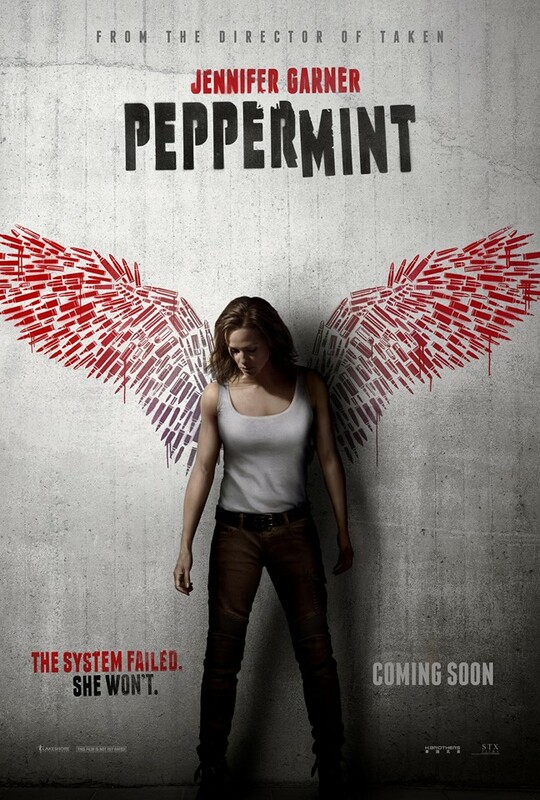 “Peppermint” is not the most original movie to date, but it successfully does its job to entertain the audience and provide a level of action, blood and violence that you expect of a movie of this nature. Its predictable, but it’s fun to watch.